Seductive is the best word. I am a serious luxury hound and have had the great fortune to visit many astonishing, well thought out and pleasurable places. 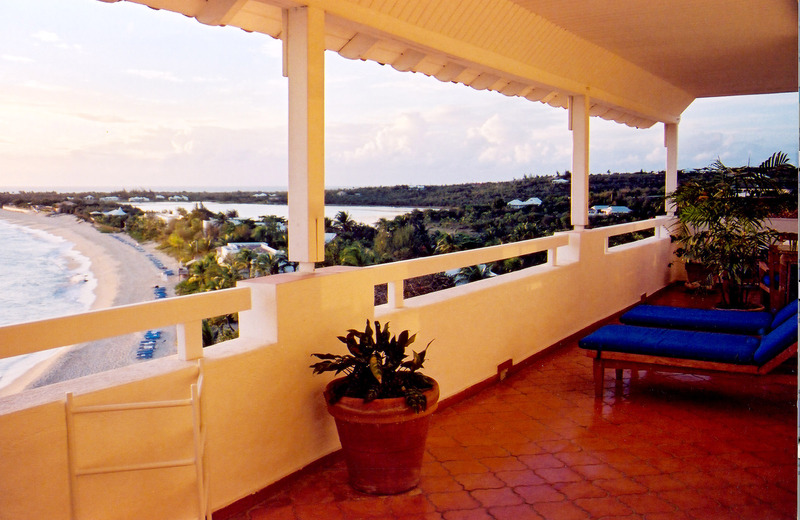 Each has its distinctions and the word that I would use for St. Martin’s La Samanna is “seductive”. 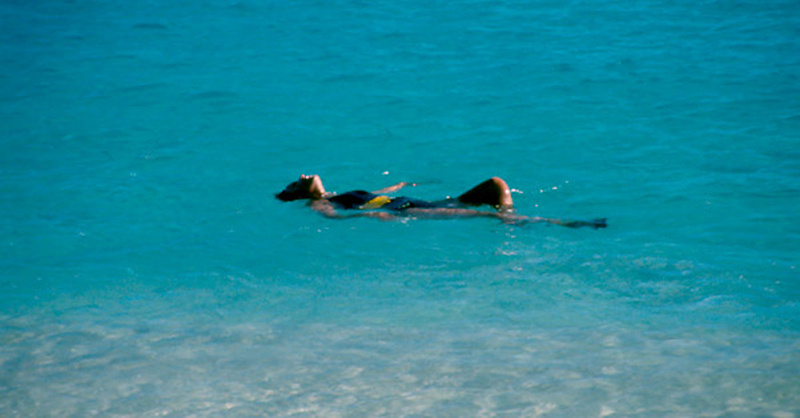 The whole environment of La Samanna wraps itself around you and whispers to you long after your tan fades. Arriving at around 10:30 PM we were escorted to our two bedroom villa in the dark. We could hear the surf sweeping up the beach through the three tall arched French doors open onto the terrace. Beyond the tall palms rustling in the evening breeze lay the wide white sand glowing in the moonlight. Beyond that the ocean glittered, disappearing into the night sky. I couldn’t resist, had to feel it on my skin. Wading out into the sparkling warm sea as it gently massaged my tired legs, I got my first look at the elegant moorish white columns, arches and terraces hanging on the cliff several hundred yards up the beach. So began the sweet seduction of La Samanna. Warm air slid smoothly over my skin as I returned to our gracious living room. Knowing that we had traveled all day, our hosts had placed covered chargers laden with a variety of small sandwiches, bowls of exotic salads and a serious chocolate dessert on the large dark wood table between cozy stuffed couches. Breezes wafted tall white diaphanous curtains through the open doors, and at that moment it occurred to me how much this place stirs the senses. We moved to the terrace to enjoy the chocolate and Veuve Cliquot left chilling for us. Later in the silky sheets of my comfortable bed the waves lulled me to luxurious sleep with salty breezes whispering promises of more to come. The beach in front of our villa. Being an early riser, I was knee deep in the now tranquil brilliant blue water as the tall shadows of the palms on the beach grew shorter. One of the graceful doors opened to the terrace with a voice asking if I wanted the coffee prepared in our sparkling blue and white tile kitchen. Tough choice. Wading in the magical solitude of the early morning sea with the empty beach curving out of sight in either direction, or coffee in the sunlit living room. OK, coffee and a leisurely stroll up the raked sand to the dazzling cliff restaurant I had seen by moonlight. We climbed the stone steps up the cliff, passing a shimmering blue pool with its half shell fountain as we left the brilliant sunlight for the cool tiles and arched shadows containing a breakfast buffet with seemingly endless selections and an ocean view that stops when it hits Spain. Between high white walls and glossy dark floors we found cobalt blue glasses and sparkling silver with the deepest of skies behind them practically humming with an invitation to breakfast. 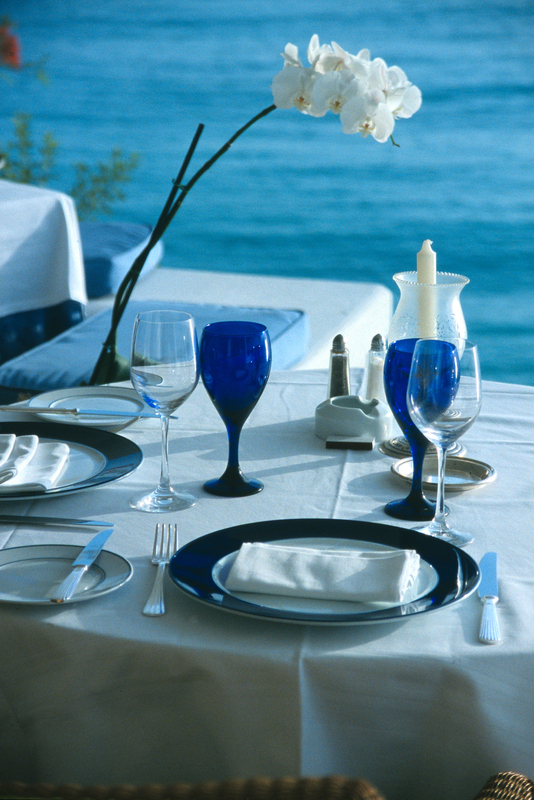 A crisp white linen covered table sat hanging over impossibly blue water. Sipping fresh coffee with every perfect bite from the endless buffet made lingering over breakfast the only way to go. This dining room is available for all meals, but there are equally luscious alternatives. Through the week there were pool parties, a torch lit lobster bake on the beach, and casual dining in the tavern. 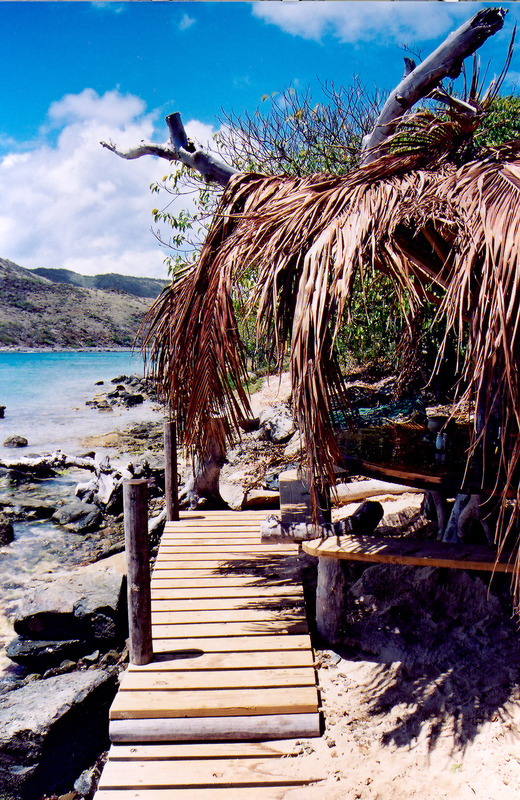 On the beach there is a raised deck with a small but complete bar and light lunch menu. Dinner in our suite was charming and we enjoyed dining in privacy on our terrace followed by swimming under the moon. The menu at La Samanna makes you want everything on it. Each meal is an adventure, distinctive in its blend of flavors and textures, infused with fresh local fruits, vegetables and fish enhanced by a lavish wine selection to compliment your choices. Of course the ultimate seduction is revealed in the decadent desserts. Daily we explored St. Martin, a place that not only has an abundance of long white wide beaches but an astonishing variety of shops, places to hike or ride horses, and restaurants. You hear a variety of languages as you walk through the streets, energy and excitement flow everywhere. We went to a farmers market to buy fresh Caribbean spices one day and visited a recovering rain forest and had a wonderful lunch there on another. You could eat your way from one end of orient beach to another without hearing the same language twice or seeing both parts of a bikini all day! We took in an outdoor street fair where we bought hand made silver jewelry, silk and cotton clothing, presents for friends at home, and delicious fresh drinks served in coconuts with native rums. We had lunch on a tiny island where the chefs kept fish and shellfish in live traps in the shallow water and cooked it fresh from there. 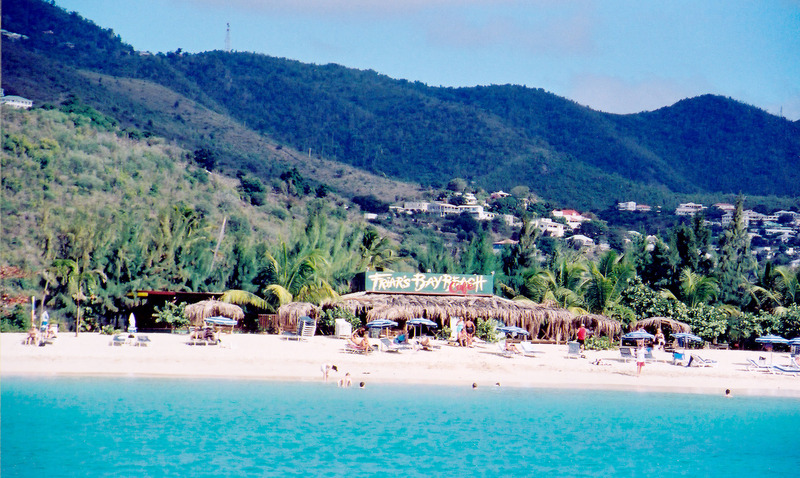 I think you could roam around St. Martin for years without seeing anything twice. In fact, I bet you could sit still and let the life of the island swirl around you without seeing anything twice! Of course we thought of La Samanna as home, having dinner with some people that we met there, and getting to know the names of some of the staff. One morning a gardener found me photographing particular flowers dripping dew in the early light around the grounds and then took me on a short tour of some particularly luscious flowers that he loved. When I headed back towards our villa, he came around the corner with a huge bouquet of mixed flowers for our living room. The people in the dining room learned our preferences, and on the breakfast table as we approached there was already one coffee and one tea, one orange juice and a grapefruit. This kind of intuitive and unobtrusive service is a hallmark at La Samanna. One afternoon we came back from our wanderings with the express purpose of indulging in the Elysee Spa. Being an outdoors kind of girl I found the massage rooms perfect, only two solid walls for one thing. 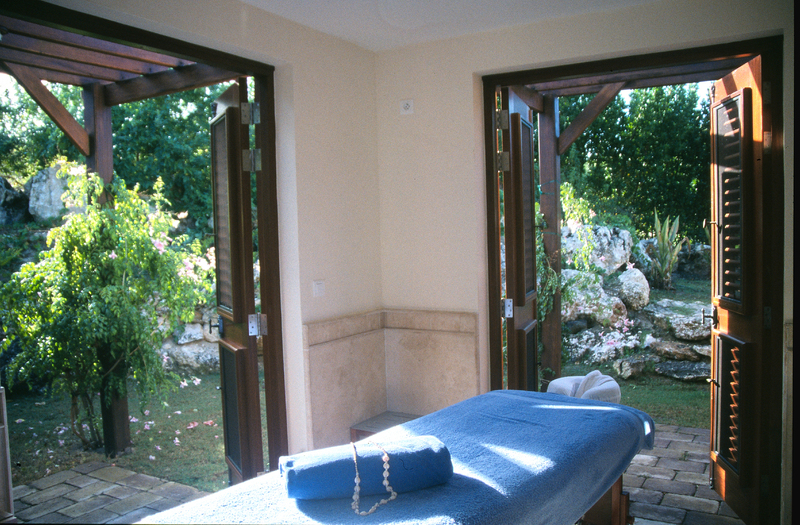 The louvered doors set into the walls to the south and west both opened wide onto a sunken garden protected from view by thick tangles of flowering vines growing into a tall stone wall that surrounded the entire back of the spa. One of the doors led to an outdoor shower with a trellis wall barely able to support the enormous vine flowers weaving through it. Steam released exotic scents into my shower while blossoms dripped as tiny crystals of color. I had a massage first and then heated stones were placed along my spine on places of tension. I went from fully charged to completely relaxed to practically disconnected from the planet in 90 minutes. 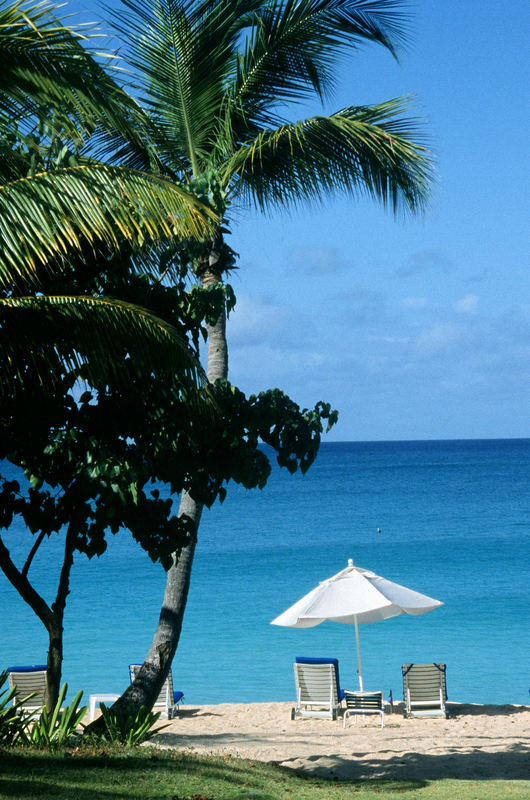 We were taken by golf cart back to our villa so as to prolong this heavenly balmy state. Chaises on the terrace for the evening sunset, cold tart margaritas and a wonderful dinner being delivered. Sweet seduction complete. La Samanna is a place that you could happily never leave, but St Martin will always deliver something new when you do leave the grounds. 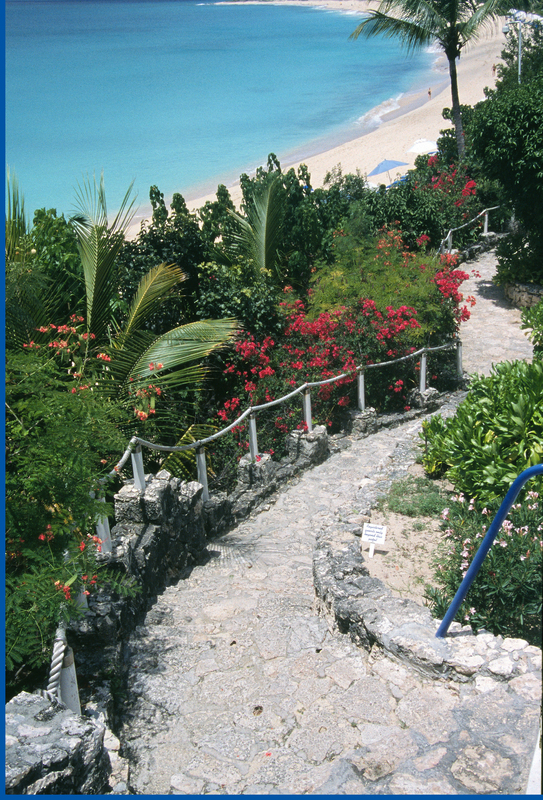 Getting to St. Martin is relatively easy from almost anywhere. Of course the nicest way to arrive is on one of the Superyachts you see in the harbor. 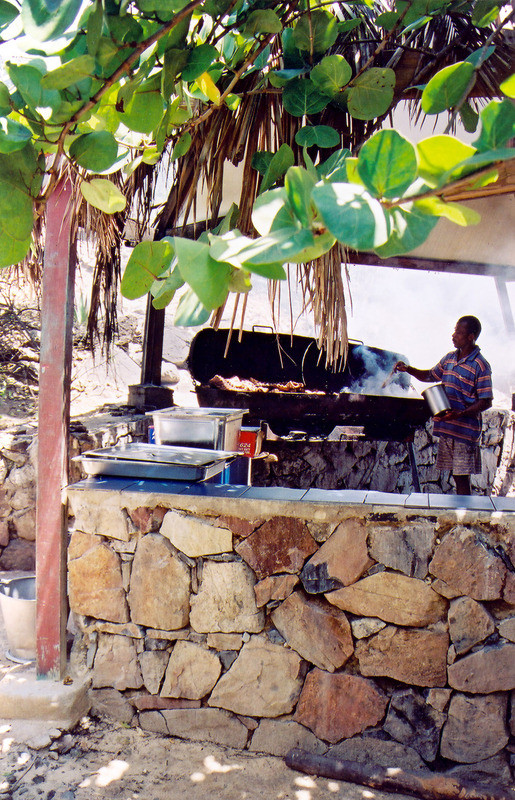 They always stop when they are in the area as this is the best place in the Caribbean for provisions from all over the planet. In a perfect world I would spend happy weeks exploring St. Martin and living in the sweet seduction that Orient Express has created called La Samanna at the far side of the Caribbean.